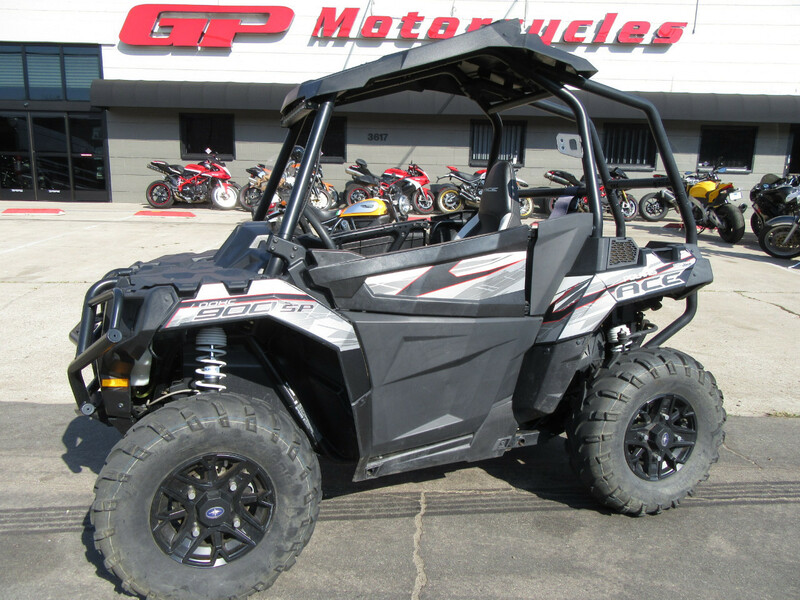 Just 420 original miles, Power Steering, 4x4, Automatic, HOT ROD 875cc with 60hp. 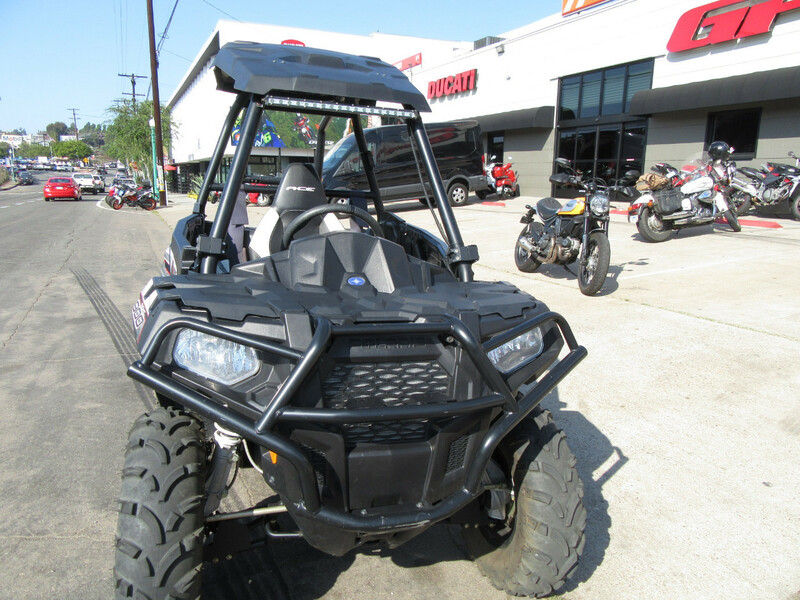 The Polaris ACE has created a whole new market, providing it's own unique off-road experience. 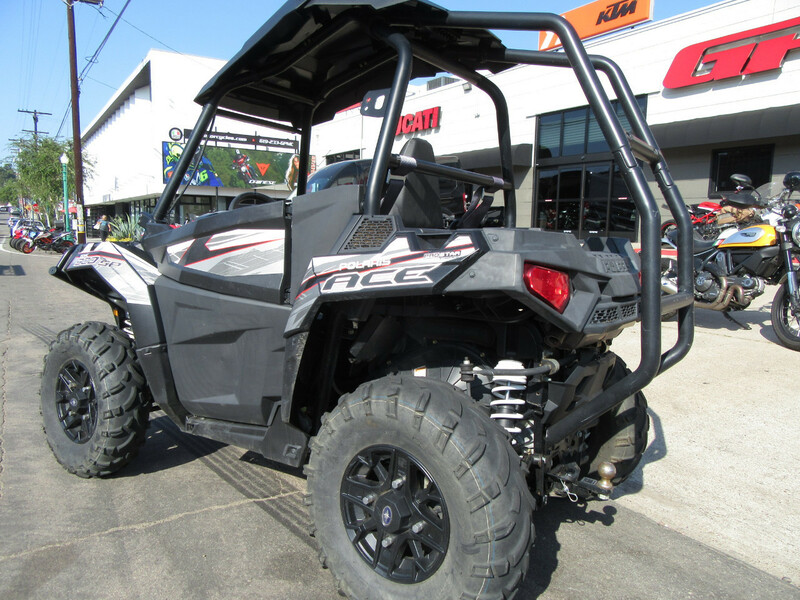 Polaris's ACE combines the nimble handling of an ATV with the security and non-intimidating, AUTOMOTIVE LIKE DRIVING APPROACH of a UTV. 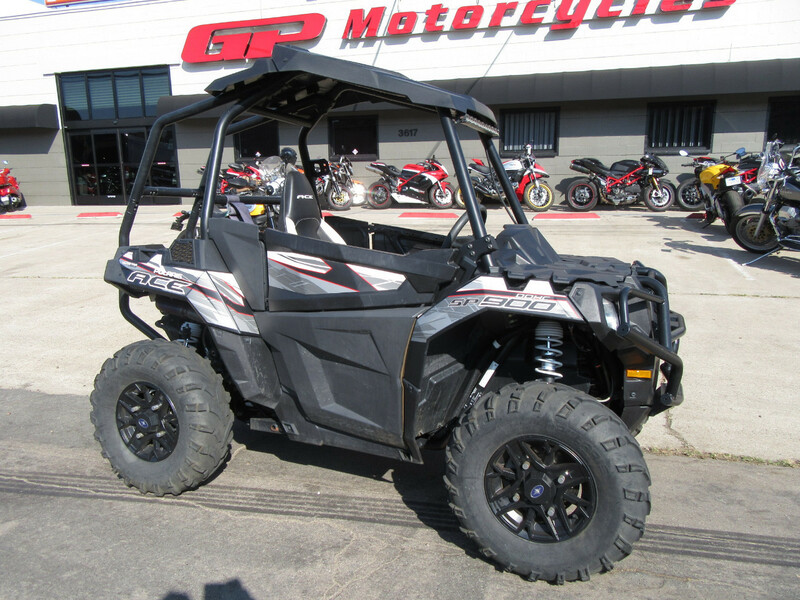 The biggest SP benefit was it's Variable Assist EPS POWER STEERING, but it also featured a new high-performance close ratio on-demand AWD system, dual rate rear springs, front and rear stabilizer bars, and a sport tuned exhaust system. 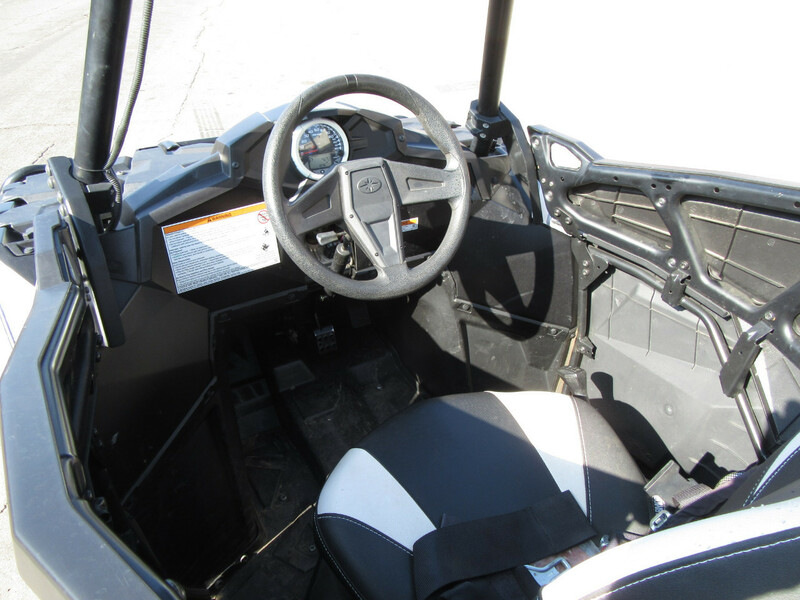 The more aesthetically noticeable upgrades included were Factory Installed quarter-doors, a high-performance steering wheel, Automotive style paint with custom graphics and a custom cut and sew seat cover.